Crash reconstruction is a scientific process that utilizes principles of physics and empirical data to analyze the physical, electronic, video, audio, and testimonial evidence from a crash to determine how and why the crash occurred. This course will introduce this reconstruction process as it gets applied to various crash types - in-line and intersection collisions, pedestrian collisions, motorcycle crashes, rollover crashes, and heavy truck crashes. Methods of evidence documentation will be covered. Analysis methods will also be presented for electronic data from event data recorders and for video. Finally, the course will cover photogrammetry, simulation, and uncertainty analysis. Each topic will be covered to a level of detail that will be useful for practicing accident reconstructionists and that will prepare the students to dive into each topic in more detail either through their own research or through SAE's other course offerings. Attendees of this course will receive a copy of the book Vehicle Accident Analysis and Reconstruction Methods by Raymond and Matthew Brach. This course has been approved by the Accreditation Commission for Traffic Accident Reconstruction (ACTAR) for 20 Continuing Education Units (CEUs). Upon completion of this seminar, accredited reconstructionists should mail a copy of their course certificate and the $5 student CEU fee to ACTAR, PO Box 1493, North Platte, NE 69103. This course is well-suited for individuals just beginning to work in the area of crash reconstruction as well as persons already in the field who want to establish a firmer foundation in current crash reconstruction technology. 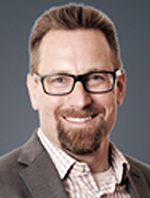 Nathan Rose is a Director and Principal Accident Reconstructionist at Kineticorp, LLC, a Denver-based accident reconstruction, forensic engineering, and forensic visualization firm that he helped found in 2005. Prior to that, he held positions as an engineer (1998 to 2003) and a senior engineer (2003 to 2005) at Knott Laboratory, another Denver-based forensic engineering firm. He holds a bachelor's degree in Engineering from the Colorado School of Mines (1998) and a master's degree in Mechanical Engineering from the University of Colorado at Denver (2003). Nathan is accredited as a Traffic Accident Reconstructionist by the Accreditation Commission for Traffic Accident Reconstruction (ACTAR) and he has offered expert testimony as an accident reconstructionist in courts around the United States. During his graduate studies, he specialized in dynamics and impact mechanics and he has published numerous technical articles and reports related to vehicular accident reconstruction. These articles have covered topics including crush analysis, structural restitution, video analysis, crash test sensor analysis, rollover crash reconstruction and analysis, and motorcycle crash dynamics and reconstruction. Nathan is a past organizer for the Rollover, Rear Impact, and Accident Reconstruction Sessions held annually at the SAE World Congress. 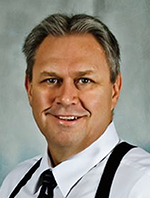 Wesley Grimes is President of Collision Engineering Associates, a firm specializing in accident reconstruction analysis involving motor vehicles. He has been in the field of accident reconstruction since 1981. Mr. Grimes served for many years on the SAE Accident Investigation Practices committee and was a co-organizer of the technical paper sessions on accident reconstruction for 10 years, receiving the Forest R. McFarland Award from SAE. He received his Bachelor of Science in Mechanical Engineering from Arizona State University.